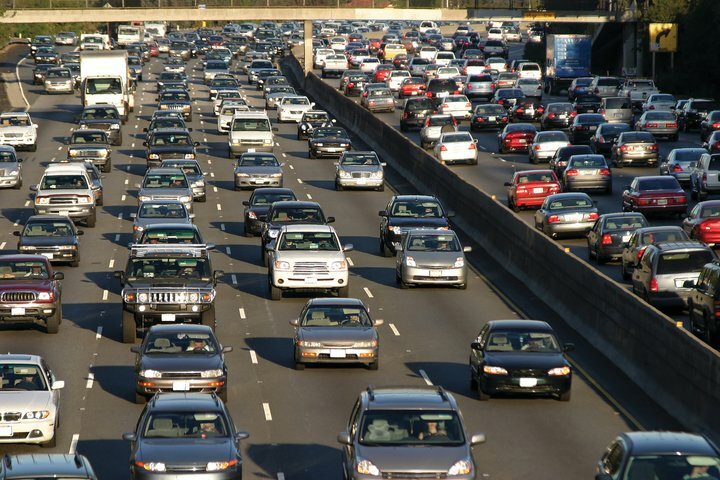 The transportation sector is the nation’s leading source of greenhouse gas (GHG) pollution that causes climate change. This is just another reason why your support for our efforts to reduce car-dependency is so important. Before joining Active Trans, I worked at the Illinois EPA (IEPA) and the Union of Concerned Scientists (UCS) to pass federal legislation to cap GHGs. At IEPA, I helped create and staff a multi-state strategy to cap GHGs in lieu of federal legislation. With UCS, I lobbied for that federal legislation, which passed the House but died in the Senate in 2010. Unfortunately, state caps on GHGs didn’t materialize either, except in California. While those efforts to legally cap GHGs failed, they did pave the way for federal limits on power plant GHGs under the Obama Administration (which have yet to be implemented and are likely to be weakened or dropped under President Trump) and for states and cities to take actions on their own, like adopting renewable energy requirements. States and cities continue to lead on climate change, and I am hopeful they will begin to prioritize a goal that has largely been ignored: fewer cars and less driving. Cities are poised to become more sustainable, healthy and equitable by making it easier and cheaper to get around with fewer cars on our streets. Traditional transportation alternatives along with “new mobility” options — shared ride services, micro-transit, light/low speed single-person vehicles and (down the road) driverless vehicles — have the potential to accelerate this change. This isn’t just about reducing GHGs through less driving. Experts believe that a new mobility future could also make the transportation fleet more electric with lower GHG emissions compared to a continuation of the status quo. That’s because more people are expected to purchase “transportation as a service” rather than owning their own car, and the alternatives to driving your own car (light/low-speed vehicles, and fleet vehicles for ride share, shared ride hail, micro transit, etc.) are more likely to be electric or otherwise low-carbon like cycling, walking and transit. I sat on Chicago’s New Mobility Task Force, and this lower-carbon/less-driving/less-parking future is on the horizon, according to a presentation by the management consulting firm McKinsey to the task force. Other experts are saying the same. But the right transportation policies are needed to put us on this path. McKinsey refers to this as “guided” vs “unguided” network development. We’ve already seen the negative consequences of unguided new mobility. Uber and Lyft have caused more driving and congestion in places. And it could get worse in the future if, for example, Americans own driverless cars and drive even more because they can sleep or work while on the road. A guided network would make it easy to not own a car and would incentivize efficient travel modes. For example, Uber and Lyft could pay a higher fee when cruising empty or transporting just one passenger. Another example is creating “smart lanes” and “slow lanes” that are off-limits to drive-alone cars and reserved for more efficient modes (buses, carpools, bicycles, scooters, etc.). Vehicle electrification is an important strategy, but by itself doesn’t address the massive amount of money spent to build, maintain and police seas of flood-inducing roads and parking, across which more than 100 people die and thousands more are injured daily in the U.S. Moreover, building communities around car travel is unjust toward people who cannot afford or physically drive a car. A new mobility future can accelerate vehicle electrification while also making transportation more efficient, healthy and equitable. More than ever, reducing GHGs from motor vehicles requires an emphasis on transportation planning and policy. It’s not just about electric vehicles and charging technologies.